One productive tributary of the famous Yampa River that is worthy of at least a half-day side trip is picturesque Little Snake River. Little Snake River flows along the Colorado/Wyoming border. Cutthroat trout have recently been restored in the river. Dry fly paradise in summer and fall, unfortunately there is lots of private water. Guides can help you get into some private stretches with complete packages. Rainbows make up most of the catch, some cutthroat and brookies. Beginning in the mountains northwest of Steamboat Springs near the Wyoming border, Little Snake River runs the along the border before joining the Yampa. It is a river to fish where one can enjoy solitude and dry fly fishing for rainbows to 14 inches. There are larger fish available, but typically private waters produce the bigger fish in the 18- to 20-inch range. The Little Snake River is prone to seasonal runoff and ice over in the spring and winter. 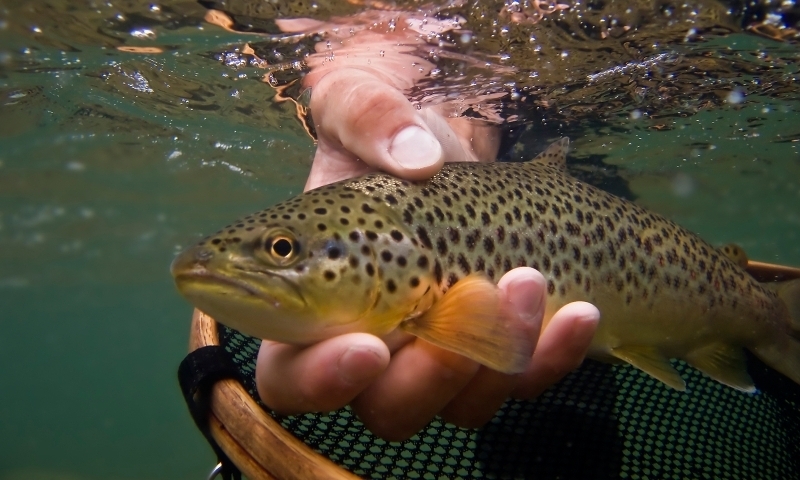 Some of the best action can be found on the private water near Ladder Ranch in July through September when the rainbows, cutthroat and brook trout put on the feedbag and enjoy easy meals before winter hits again. Dries are the name of the game here. Try drakes like a Lawson's standard or a smaller Joe's hopper. The fish will also hit small humpies and stimulators with some yellow or orange in them.